I must admit, I went a little off wine for a while. Not off wine, really – I mean, I still drank the stuff, as well as alternative beverages, but I stopped reading about it, stopped writing about it, and went a while without being particularly struck by it. Without, to use a phrase from the French vinophile bible the Guide Hachette des Vins, un coup de coeur, a moment when a simple intoxicating beverage picks you up by the inside of your mouth and swirls you dizzyingly and deliciously around the room. Then, over the last few months, it started happening again. A 2011 Polish Hill riesling from Jeffrey Grosset, a Bourgogne pinot noir from Mark Haisma and a 2006 Cotes du Rhone from Domaine de la Janasse all got me a bit excited. A while back my phone self-destructed, taking with it a recording of an interview I’d conducted that morning and was supposed to turn into a newspaper article, and I spent several unhappy hours searching in vain for a solution, or for another human who might be able to offer me a solution. By the evening I was frustrated and unhappy in a very fundamental way and then, in the time it took me to unscrew a cap and pour a glass, my troubles were blown away. Temporarily, sadly. It was a Jamsheed roussanne from Beechworth, approximately halfway between Melbourne to the west and south and Canberra to the north and east, in that part of Australia where place names are – to the English atlas-reader, at least – at their most sublimely ridiculous. Nug Nug, Yuckandandah, Boomahnoomoonah, Tangambalanga and Walla Walla – which is just about halfway to Wagga Wagga – are all thereabouts. I hadn’t just stumbled upon it. For the first time in a long while, I read about a wine, decided it would be a very good idea to put some in my mouth, took action and then put some in my mouth, all within the space of a few giddy days. Jancis Robinson, who I find a reliable critic and a very correct writer, if rarely an inspiring one, gets the hat tip here, plus newish online “wine boutique” Hook & Ford for selling it to me at a fine price – thanks also to a handy discount code found on their Facebook page – and getting it to me swiftly. I actually received it, tried it and promptly wrote this about six weeks ago, but it took until this morning, with the sun in the sky and a slight breeze drifting through the back door, for me to add a picture to the words. It’s one of those wines that pleases all the senses. A vibrant straw yellow colour with faint brush of green, as soon as I poured it my day brightened. It smells amazing, bright and complex, a bit reductive, extremely comehitherish. And then, upon actually imbibing, it zings. Full-bodied, as most Rhone whites are, it spreads creamily over the tongue before starting to swoop and soar, like a flock of particularly tunesome and fragrant nightingales. It is genuinely exceptional, the kind of drink that would make turn any sceptic into an enthusiast, and a lapsed enthusiast into a ranting proselytiser. For a little under £18 I also consider it to have been a bargain. It has all happened at a very opportune moment, for the current political and indeed economic situation in the UK demonstrates that intoxication has never been more important. It is a burden I intend to carry manfully and, with this in my glass, perhaps also, if I can force the rest of the world to the back of my crowded and clouded mind, pleasurably. And so, here I am. Hello again. It’s been too long. 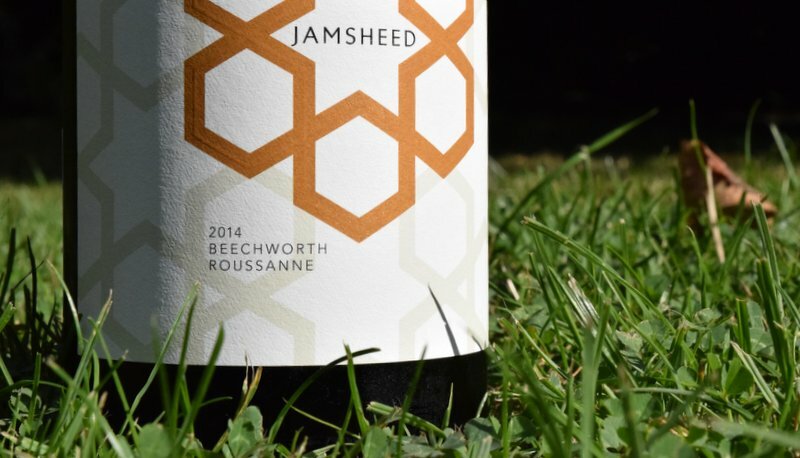 This entry was posted in Australia, Uncategorized and tagged australia, Beechworth, Roussanne. Bookmark the permalink.